People who are still using the Old Windows Mobile or HTC Excalibur and are looking forward to upgrade their device with any new app then this article will be useful for you. 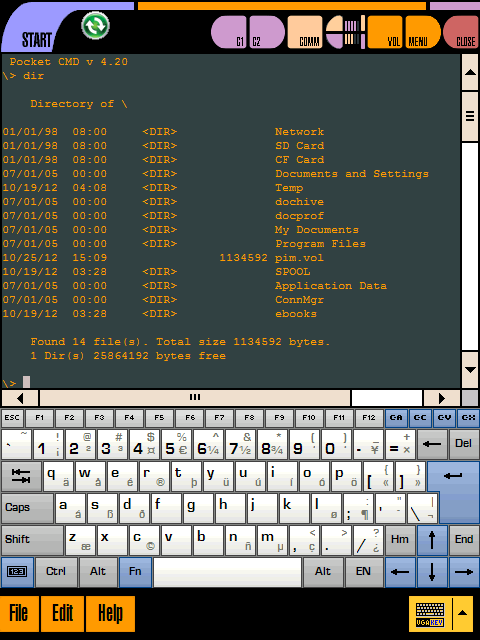 Here we present you the XDA Senior Member Unit ZERO’s latest application: Command line. It is an app designed to allow for greater control over your windows mobile device by giving it an easy-to-install command prompt. After installation, delete the “setup.dll” files, you don’t need them. Next, when activating the program, you must first select the “CMD Toggle” shortcut in the “Command Line” Folder in your “Start Menu/Programs” subfolder – this will toggle the registry, and allow you to display the command line. Then, you may select the “Command line” shortcut, and enjoy! After exiting the Command Line, select the “CMD Toggle” shortcut once more to toggle the command line off, this will prevent the command line from displaying at awkward moments, when commands are being issued to your device. This setup has been tested/working on a DeIII AXIM X51v, running a customized version of LennySH’s WM6. 1 ROM with enhancements, and a SIP from VGA Keyboard.